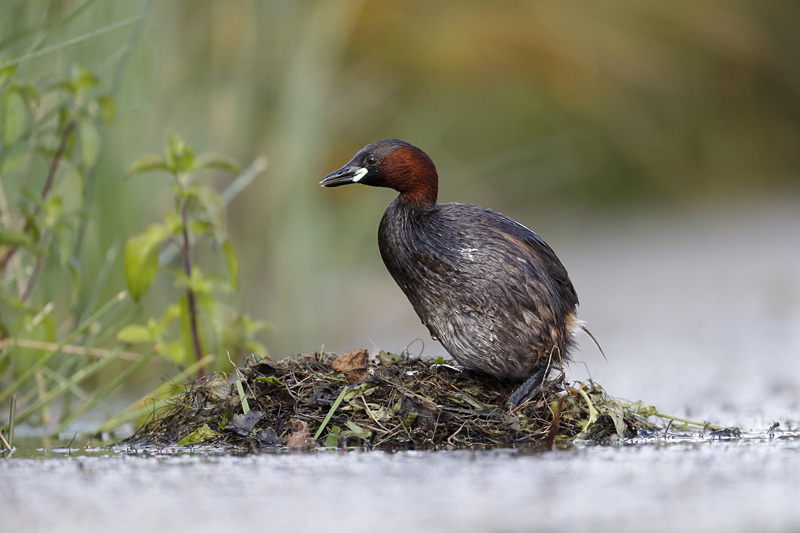 Little grebes nest on the estate where I photograph, but in previous years the lake they have used has been unsuitable for photography. The reedbed is too thick and the angle of the light wrong. This year a pair nested on a pool which is far more open. 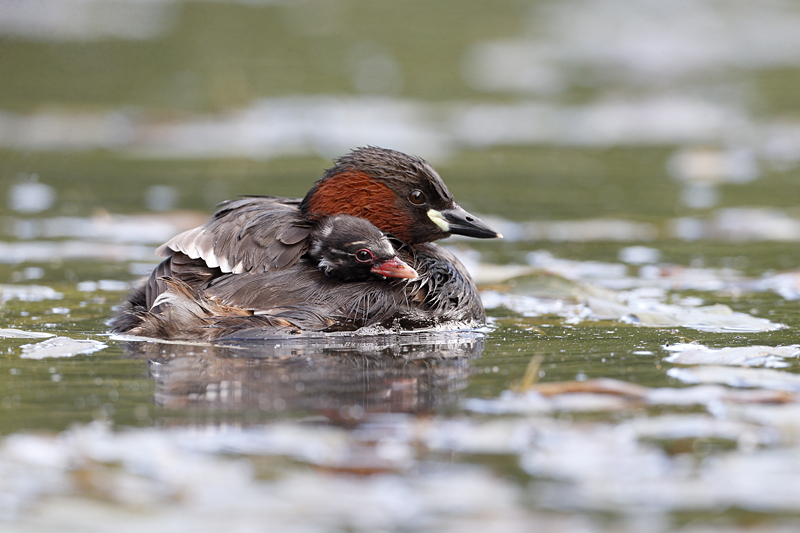 Little grebes are surprisingly nervous bird away from city parks and urban settings, where they can be very tame. 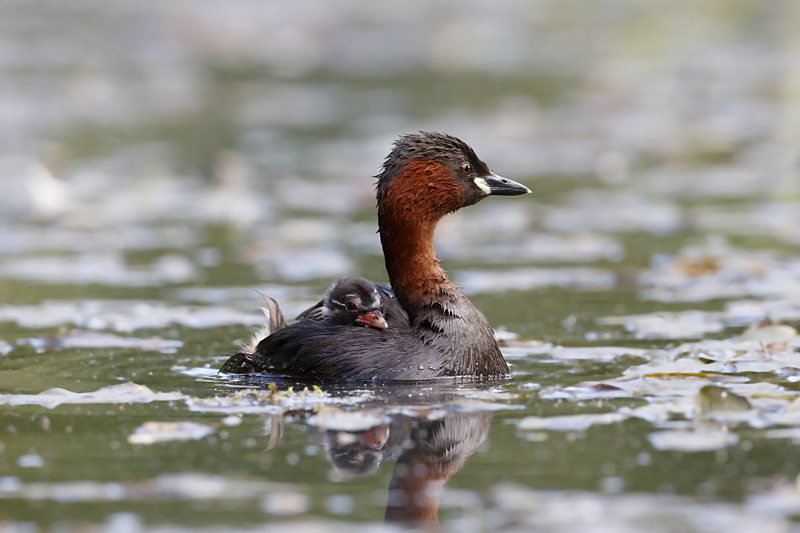 A wild little grebe will be very wary of a hide even when put up at a distance. Because of the depth of the water I could only put my hide up in one place and that required an 800mm lens plus a 1.4 extender to reach the site. Even at this distance you could see they did not like the hide at first. I was wearing chest waders and sitting in the water up to my waist with the camera just above the surface and a right angled finder fitted. Not a very comfortable position, but I never did more than two hours at a time. I had hoped to be in the hide when they hatched, but having no idea when they laid this was unlikely. I visited twice a day, but missed the event when one afternoon I had to be elsewhere. Pity as they are so tiny and gorgeous when first hatched and clambering over the parents back on the nest. They are so small it is hard to believe they are birds at all, but they grow very rapidly in the first few days. Once left they never returned to the nest, which I hoped they would.